The characteristics of plants give us clues as to how some plants are similar to and different from others. Classification of plant species depends upon common and unique features that are used to identify plants by their characteristics. Scientists and plant experts have collected data on numerous plant species from studying the plants in their natural habitats and recording information about their characteristics in scientific literature and databases for future reference. What Are the Plant's Features? Plant features include the color, shape, size and orientation of the plant's leaves on the stem and the color of its stem, branches and/or trunk. Is the plant evergreen, or do its leaves change color in the fall? Whether the plant's leaves fall or not identifies the plant as deciduous or evergreen. Plants are also identified by the shape and color of their fruits and the seeds they contain. Fruit and seed colors include black, brown, green, orange, yellow, red and white. How Does the Plant Grow and Change? Plant types are identified by their active growth seasons, which vary at different times of the year and in different parts of the world. Some actively grow during the spring and summer, while others grow during the winter months. The height of the plant is an identifying characteristic that defines its variety within a species. Some plants grow to a minimum height in dry soils but to a towering height in moist soil conditions. What Are Its Growth Requirements? The types of soil and soil conditions that support a plant's growth are identifying characteristics that define where a plant will and will not grow. Soil types include varying degrees and combinations of sand, loam, silt and clay. Soil pH levels and levels of potassium, phosphorus, nitrogen and salt are also characteristics that help to identify a plant. How Does The Plant Reproduce? 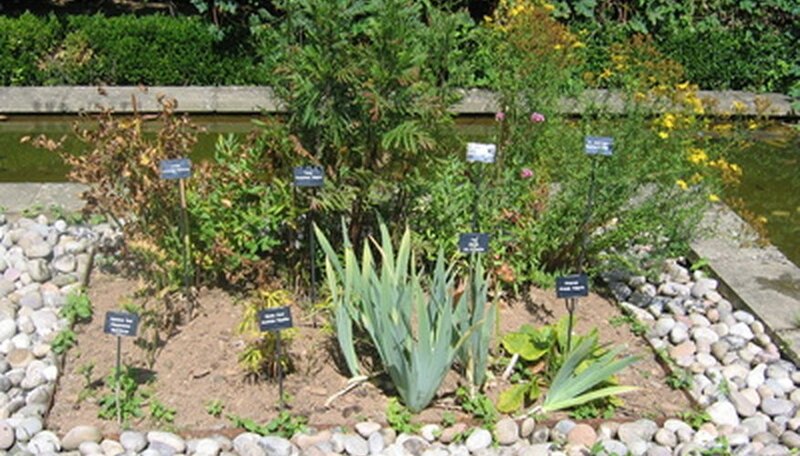 Plants are identified by their reproduction characteristics. Plants naturally reproduce by seed, through the spreading of their roots or through their bulb or corm production. Some plants are propagated through cuttings as well. Flowering plants bloom before the formation of their fruits and seeds. Plants are identified by the shapes of their flowers and their color, whether white, yellow, orange, red, purple, brown, green or blue. Plant identification includes the times when the plants are in full bloom and for how long. The fruiting characteristics of plants--the season when the fruits form, their shape, size, color and whether the fruit is edible or poisonous—describe and identify plants. Observe and make notes about your plant. Take measurements of its leaves, its height and spread, the circumference of its base or trunk, and describe the plant's colors and distinguishing features. Compare your plant specimens to the records found in plant identification resource materials. These include reference books and online databases.